Thailand has been touting itself as the Detroit of Asia for some years. We have managed to attract several Japanese manufacturers, and get Ford Motor Company back to these shores. However, we have not done as well with the European manufacturers. At the end of December came the information that Volkswagen, which had been looking to set up a Joint Venture in SE Asia has chosen Malaysia, and bypassed Thailand. Christian Klingler, Member of the Board of Management of Volkswagen AG, and representatives from the partner company DRB Hicom have signed an agreement for local vehicle assembly in the presence of Malaysian Prime Minister Datuk Seri Najib Tun Razak. Passat models are to be assembled from the end of 2011 with a view to the long-term development of the Malaysian automobile market. “Developing the market potential of the ASEAN region is of major significance for the Volkswagen Group’s long-term growth strategy,” said Christian Klingler in Kuala Lumpur. He added that the Malaysian automobile market in particular, where more than 570,000 vehicles were sold in 2010, played an important role in the Group’s strategic planning. “We will be using existing structures and capacities at the DRB Hicom plant in Pekan to systematically extend our presence in the Malaysian market of the future,” he said. It is planned to build further Volkswagen models for the Malaysian market on the basis of a local full scale production in a second expansion phase from the end of 2012. This CKD assembly will have an initial annual capacity of several thousand vehicles and will be successively increased. 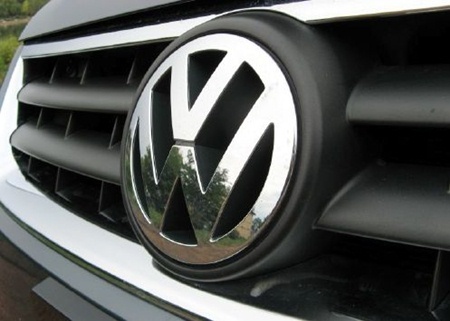 The Volkswagen Group had signed a memorandum of understating to investigate local vehicle production with the Malaysian partner DRB Hicom back in August 2010. The partner company DRB Hicom has the largest automotive production network in Malaysia and builds passenger cars and commercial vehicles at its plants in Pekan and Melaka. With a nationwide sales network, DRB Hicom is moreover an important automobile dealer and importer in Malaysia. With VW being one of the largest manufacturers in China as well as Europe, we should not have let this one get away!